Neal Kewistep has spent most of his career fostering relationships with government, community-based organizations, Indigenous organizations and educators. As the former Interim Director of the Population Public Health (PPH) in the Saskatchewan Health Authority (SHA), he was responsible for 13 departments ranging from Sexual/Street Health, to Healthy Families, to Immunization, and to Inner-city Health Services. His leadership led to increasing the infant and childhood immunization rates to close the gap between the most affluent neighbourhoods and the inner city neighbourhoods, and to addressing safe housing issues in a new way within the scope of the Public Health Act. During the amalgamation of the health regions, Mr. Kewistep led the transition of the PPH portfolio from the Saskatoon Health Region to the provincial health authority. He was also the strategic lead for cultural competency and Truth and Reconciliation Commission activities for PPH, which was a role he was proud to take on. 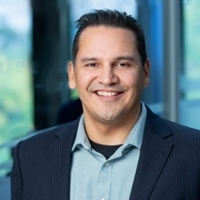 Neal Kewistep holds a Master of Public Administration degree from the Johnson Shoyama Graduate School, and has a bachelor’s degree in Indigenous Studies from First Nations University of Canada. In addition to his formal education, he counts his traditional training from elders as being as relevant in teaching him the role of a servant leader.